ITIC undertakes analysis and research on relevant tax topics to enhance peer learning and educate stakeholders on best practices. “Development debates often focus on natural curses and blessings. For some countries, being landlocked is a curse resulting in difficult and costly access to/from markets. However, for the countries comprising Central Asia, most notably Kazakhstan and Uzbekistan, in ancient times and today, being landlocked has been a blessing. The Silk Road puts Central Asia in the crossroads of the East-West and North-South trade routes. Infrastructure is the key to exploiting this location and transforming it into economic development and prosperity for the people of the region. Much of the attention focuses on the hard infrastructure: pipelines, railways, highways, and communications networks. Going back to ancient times, such infrastructure allowed markets to function and grow by connecting supply and demand and maximizing the value of the region’s natural resources. However, the hard infrastructure needs the soft infrastructure to result in long-term success and make a positive development impact. Governments must carefully consider the soft elements of their legal, regulatory, and fiscal infrastructure. How will the projects be structured? What will be the local content and labor requirements to foster the growth of human capital? What are the terms of debt and will the government have future capacity to repay it? Lastly, and perhaps most importantly, are the “rules” and “terms” of each infrastructure project transparent? In the Future Calling: Infrastructure Development in Central Asia, authors Dr. Ariel Cohen and James Grant explore the unprecedented capital expenditure outlays of these projects and analyze their potential for transformative economic progress. However, the hard and soft elements of these infrastructure projects must strike a balance between economic sustainability, social inclusiveness, and commercial viability. Sound and transparent projects, regardless of the source of finance, will foster economic growth and development. Bad projects, on the other hand, risk saddling countries with long-term debt and white elephants. There is much attention in Central Asia and beyond on China’s Belt Road initiative. China’s renewed interest in this region, and the much-needed capital it brings to bear, comprise a critical pillar of Central Asia’s infrastructure build-out strategy. Investments from likes of the World Bank, Asian Development Bank, Asian Infrastructure Investment Bank, European Union, Japan, the Middle East and the USA will also play an important part in realizing the potential of these projects. Abstract: Over the years, many proposals for global taxes—taxes levied on a worldwide basis—have been made. None has been successful, essentially because one cannot have global taxes without a global government. This paper first reviews some major global taxes that have been proposed and then considers whether experience in two other spheres in which countries deal with each other to resolve fiscal questions—the financing of international organizations and international taxation (how national taxes deal with cross-border flows)—offers any lessons about the feasibility of a global tax. Since countries have little appetite for giving up fiscal sovereignty or for explicitly redistributive fiscal arrangements, most past global tax proposals had little or no prospect of success. But less ambitious attempts to develop a more ‘global’ approach to taxation through a transparent process that involves most who are affected, provides them some demonstrable benefit to all, and remains firmly under national control may perhaps over time move us a bit closer toward achieving the better world that global tax proponents presumably wish to achieve. Tax stamps are used by regulators in approximately fifty countries globally (see Annexe A for list of countries) in an attempt to protect alcohol tax revenues. This report assesses the effectiveness or otherwise of such systems and takes a closer look at the factors critical to determining the overall success of tax stamps and related technologies. We show that, in isolation, tax stamps are a sub-optimal policy choice from both an efficacy and efficiency perspective. Instead, the goals of curbing illicit trade in alcohol and protecting tax revenues require a much wider package of effective monitoring, control and enforcement measures. High and discriminatory rates of tax should also be avoided as these incentivize illicit trade. The term “tax system” as used in this report refers to the collection of taxes that a government uses to raise revenue to support its expenditure programs. Tax systems are usually judged against the standard criteria of equity (or fairness), efficiency (or neutrality) and simplicity. Further, tax systems must raise sufficient revenue to meet the needs of government and be sufficiently flexible to deal with short-term economic fluctuations. Globalization has put additional pressure on tax systems so that they are attractive to foreign investors. Tax systems should foster economic growth through efficient design that limits distortions and attracts foreign investment. This paper describes some of the issues for a country to consider in determining whether, and the extent to which, it should tax natural resource related capital gains. Before making this determination, each country should consider the tax policy it wishes to adopt with respect to capital gains for taxpayers across all industries, not just the extractive sector. On 20 July 2016 the OECD’s Centre for Tax Policy and Administration issued a working paper entitled “Tax Design for Inclusive Economic Growth,” which examines the design features of tax systems and how they can be strengthened to support inclusive economic growth. The paper was discussed at the ministerial-level G20 Tax Symposium on 23 July, just before the meeting of G20 Finance Ministers and Central Bank Governors on 23-24 July 2016. This latest working paper follows an OECD report in 2008 entitled Tax and Economic Growth, which analyzed the impact of taxes on economic growth from an efficiency perspective. The current paper attempts a fresh assessment of the 2008 policy recommendations with a greater emphasis on equity considerations based on developments in academic literature and tax policy over the last several years. Use of targeted taxes on specific types of food and drink is on the rise around the world. Concerns over lifestyle-related Non-Communicable Diseases (NCDs) and associated risk factors, coupled with increasing fiscal pressures, have led to growing government interest in the use of selective food and non-alcoholic beverages taxes (SFBTs). Whether such taxes are successful in meeting either of these outcomes depends on four main factors. The first factor in determining the effectiveness of SFBTs is the extent to which such taxes are passed through to the prices that consumers pay. It is very difficult to predict the pass-through rate before a tax is introduced given the complexity of determinants that feed into it—including the structure of the tax, the portfolio of products it applies to, and the intensity of competition between firms in that sector. Most studies positing potential health benefits from SFBTs are based on simulations of changes in demand that would result from price changes. But such studies do not necessarily consider that, in some cases, consumers see little or no increase in prices as they are instead absorbed by producers or retailers. The International Tax and Investment Center, a nonprofit research and educational organization, has developed a set of principles for hydrocarbon investment policies that experts believe will assist in the dialogue between developing countries and prospective oil and gas exploration and development investors. The Principles for Developing Country Hydrocarbon Investment Policies are designed as a possible framework for collaboration between countries and investors to ensure countries obtain full value for their resources while attracting and sustaining the substantial investments and operational expertise needed for efficient, safe and environmentally sound resource development. Consistent with ITIC’s mission to bring parties together for dialogue on important fiscal, taxation, and investment policy issues, this set of oil and gas investment principles is an important starting point for countries and investors as they seek to work together in promoting economic development and attracting international investment. These principles are a product of extensive dialogue among several leading international financial institutions and a number of oil and gas companies with vast international experience. The principles were finalized and adopted by ITIC’s Oil and Gas Taxation and Regulatory Working Group, which will facilitate discussion of the principles with officials in various countries as we as multiple-stakeholder sessions. The Resource Manual is a result of over two years of active engagement between Ministry of Finance policymakers and excise tax administrators from the member states and the Asia-Pacific Tax Forum expert team. As with most ASEAN undertakings, it was a collaborative effort. The end result provides policymakers with a roadmap to excise taxation in a more closely integrated region. Standardization will become increasingly important as the region moves towards the ASEAN Economic Community (AEC), which is due to commence on 31 December 2015. Harmonization and standardization of areas such as the definitions of both the key goods subject to excise and their tax bases will improve the intra-regional trade and investment of excisable goods around the region, as well as in many cases, improve compliance in the distribution and reduction of tax evasion. This new Resource Manual fully respects national tax sovereignty. 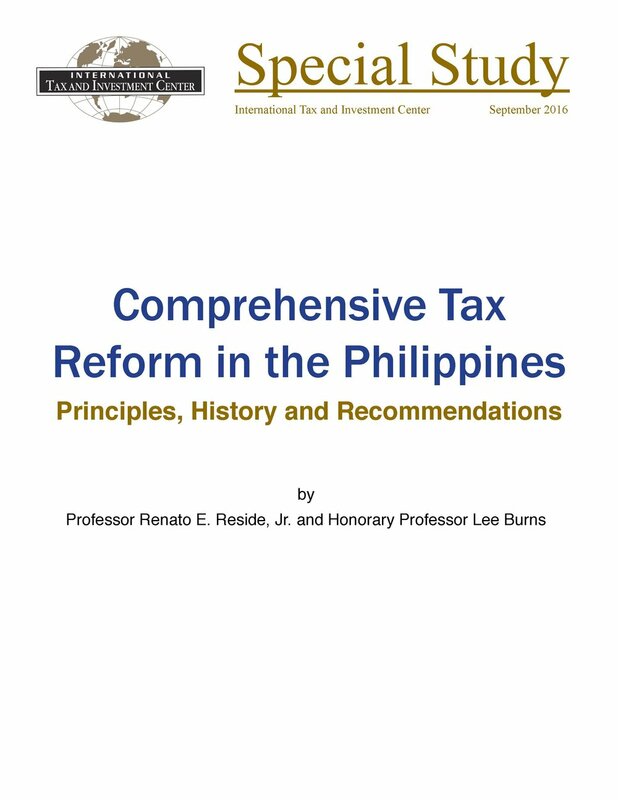 The authors focus on how to improve the existing tax regimes that are diverse in their approach and range of goods and services covered, to provide a path for reform, standardization, and the adoption of best practice excise tax systems. These reforms, if carried out correctly, can help foster economic growth and higher budget revenues in each of the ASEAN member states. This comprehensive Resource Manual will provide policymakers with the resources to develop and implement such policies in each of their countries. The subject of global corporations not paying their “fair” share of taxes has been the subject of public discourse for more than three years, and international tax rules such as transfer pricing a subject for discussion in daily newspapers. There are widespread concerns that multinational enterprises (MNEs) are active participants in undermining the tax base of developed as well as developing countries, and the new Action Plan on BEPS can be seen as one outcome of this thinking. Concerted global action on addressing risks to tax bases from cross-border activity is at an unprecedented level, and the tax world is presently full of uncertainty. National action following publication of the full action plans for BEPS are very much an unknown, and this is most true of emerging and frontier markets.